Bergamot essential oil has an uplifting and rejuvenating effect and is particularly popular with aromatherapists for its ability to lift the spirits. It is often used in massage oils, burners and baths. It is extracted from the peel of the fruit when it is at the stage of being nearly ripe. The extraction process used is cold expression which maintains the integrity of the active ingredients. 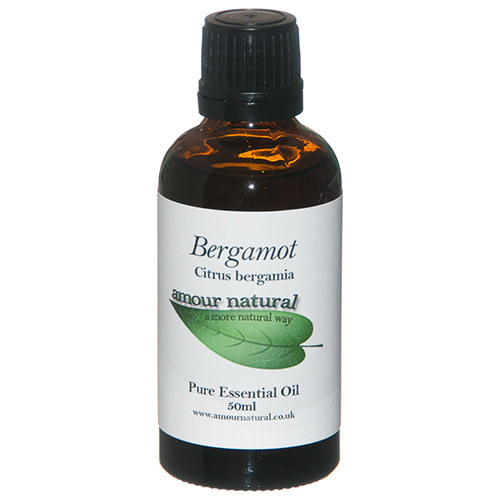 Amour Natural’s Bergamot essential oil is bergaptene free, which is achieved by a process called fractionation and means that the oil causes less photosensitivity when used on the skin. Bergamot essential oil blends well with citrus oils, as well as lavender, cypress, neroli, jasmine, and chamomile. Below are reviews of Amour Natural Bergamot Pure Essential Oil - 50ml by bodykind customers. If you have tried this product we'd love to hear what you think so please leave a review.